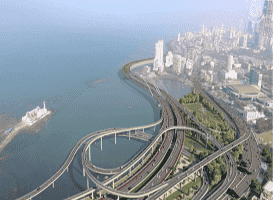 After being delayed for nearly four years, Mumbai’s Development Plan (DP), which will determine the city’s land use and infrastructure development for the coming 20 years, has finally come into action. Besides generating 8 million jobs and 1 million affordable houses, the plan is expected to significantly change the skyline of the city. To generate more jobs, the DP has given incentives to commercial structures to have extra floorspace index (FSI); subject to road width, extra FSI will also be granted to residential buildings. “The DCPR 2034 has opened new doors of opportunities for developers with the introduction of new norms, including increase in FSI for office development, creation of smart cities, slum rehabilitation, linking of permissible FSI to road and adoption of RERA definition of carpet area,” said Rajan Bandelkar, President, NAREDCO West.